THE BATHROOM ENCOUNTER – SEEING WRONG OR DOING RIGHT? THE PERSONAL LEADERSHIP QUESTION | Thoughts of a Calabarboy. THE BATHROOM ENCOUNTER – SEEING WRONG OR DOING RIGHT? 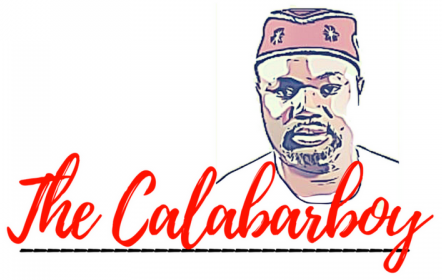 THE PERSONAL LEADERSHIP QUESTION – Thoughts of a Calabarboy. I have decided to sit down and take stock of my life and the direction I would have it go. It’s not that I haven’t always done this, but it’s a necessary step that I must do to continually appraise my progress and evaluate my goals, measure my successes and effect my impact assessment. This is just one of those series of processes which I subject myself to as I walk through what always seems to be the valley of deaths’ shadows. In this latest of reviews, I have detected a potentially destructive tendency which has silently crept into my life, to the point that I have grown lethargic and insensitive to its full functioning within me. If someone else told me, I probably would have denied with every ounce of passion in me. But this was classic case of looking into the mirror and not seeing your heroic grandfather’s contrived image, but a direct reflection of me talking back to me through the bathroom mirror. I call it the bathroom encounter. The great thing about such periodic personal encounters is that they become the hallmark for major changes in your life, and a reason to be self motivated in doing the right things. This was one of those moments. Still in the time frozen zone, I ejected myself from the powerful effect of the moment and jerked back to reality of my wrist watch. But that was it. Something within me had changed and was going to be forever so. I realized that I had seen so many things wrong and had allowed myself to become an active commentator and a passive mover. I had seen so much and done so little, hence the troubles all around me seem to multiply. But then I knew that seeing wrong and murmuring about it doesn’t change anything. This promptly reminded me of my famous statement I made back in college school days that ‘leaders don’t see wrong, they do right’. All around me have been several opportunities to be a leader by standing up and doing the right thing, but I blew it by being employed in the preoccupation of grumbling. My mentor had once warned me never to open my mouth except I had value to add and now I was living in blatant disregard for those guiding words. My words were splattered all around yet very little had changed. Later that day, in reconsidering the frozen time in the bathroom, I was resolved to do a few things. (to be continued tomorrow). ← AMNESTY FOR MILITANTS: ARE YOU KIDDING ME? “active commentator and a passive mover”…i don’t quite agree that its such a bad thing. it is always better to be a voice than to just accept all that happensa around us the way majority of nigerians are accustomes to doing. without voices like yours, we’d have nothing in years to come, to remind us of just how bad we were as a country and as a people, and the sort of trials we have been able to overcome. I hear your counsel Orok, I know talking ain’t bad, but it is the preoccupation of many. Shouldn’t we move from there when time offers us a better chance? the part that really caught my eyes is to never open my mouth unless I have a value to add. don’t we humans like to murmur? can’t wait to read the remain thoughts tomorrow . Your writings r so inspiring. we certainly need voices like yours in our generations. Hello Reginald, I am was in a rush, actually I have to leave now. Ur Message about Dapo Ajayi’s Song made me visit the site, and I tried not to read your articles, but Quality is so loud in my hear dat Time doesn’t matter. I am delighted to let you know that I LOVE YOU ARTICLES. I have to get back to work now but hope to Send some articles in, annd I hope you will like it. Good use of imagery. Brought the topic alife.Transfixed,travelled with you in the frozen time. Reginald you brought the ordinary daily events to focus in a very simple language. I enjoyed this piece, have read it twice over. Aunty Roli, thanks a lot….I am totally challenged also, and have resolved to move forward…believe me! wow! got frozen with time too and had to take stock.This is what we should do often and take actions. Love the statement ”never open your mouth unless u have value to add”. thanks for sharing Reggie.